I am a priest in the Eastern Orthodox Church, author, speaker, and retreat leader. Here you will find information about my ministry, books, and writings. Please also stop by and visit my blog, Walking With God. There you will learn more about finding holiness in everyday living as well as educational resources for living a more faithful life in God. "William Mills has gone honest and intimate with us in telling his story of the travail of ministry. His drama of mean-spirited betrayal in the congregation and the late unexpected reassurance of support replicates our best story of crucifixion and resurrection." "William Mills has given us a true story told truthfully, a story of a faith lost and found, a story of the Church at its best and worst, a story of a priest who persisted in his vocation in spite of everything. Service to the Body of Christ, the Church, is not for the faint of heart and yet, in the end, there are blessings." United Methodist Bishop, retired, and Professor of the Practice of Christian Ministry, Duke Divinity School. Author of, Who Lynched Willie Earle? Preaching to Confront Racism. "The Church speaks a lot about truth but isn’t so good at honesty. Here is a priest who has learned the cost of this and who, with courage and imagination, encourages us to join him and to say it as it is. We clergy often know the words of religion but miss the music. William Mills calls us back to the vocation of trying to tune our lives to the harmonies of the eternal but only by recognizing emotional and factual truth and in pursuit of justice. Enjoy it and feel yourself defrost." "William Mills' memoir is a beautifully crafted, honest, wise, and insightful book. It stands in the very best tradition of spirituality—a writer and text that can speak to the real condition of the soul, and the day-to-day struggle that many have with belief. . . 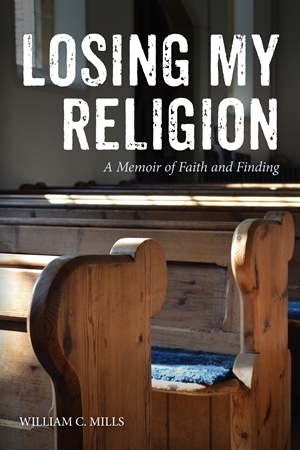 Honest and wise books on religious resilience are often hard to find. But this is one of those rare gems, and I commend it for anyone who knows how long our spiritual journey can be." "For the clergy as well as the congregation, William Mills’ memoir of parish ministry chronicles with refreshing honesty and insight the three-part journey from childhood to ordination to the perils of pastoral life."